The opening round of the 1954 championnat du monde des conducteurs, the Grand Prix de la Republica Argentina, held on the Autodromo Almirante Brown circuit outside Buenos Aires on 17 January, was also the inaugural event of the new Formule du course Internationale No. 1 which came into effect as of the first of that month. Juan Manuel Fangio won the race driving a Maserati Tipo 250F1. When the final event of the formula was held in November 1960, in the form of the United States Grand Prix at the Riverside International Raceway in California, there was a Maserati 250F on the starting grid, Bob Drake finishing the race in thirteenth position. That the career of the Maserati 250F spanned the entire seven years of a racing formula is amazing enough, that the Tipo 250F won world championship races during three of the first four seasons and was still competitive during the fifth was nothing short of remarkable. All this would be enough to ensure that the Tipo 250F secured a spot in the pantheon of notable racing cars. It was also one of the best-looking racing machines of its day, a notion that time has done little to diminish. 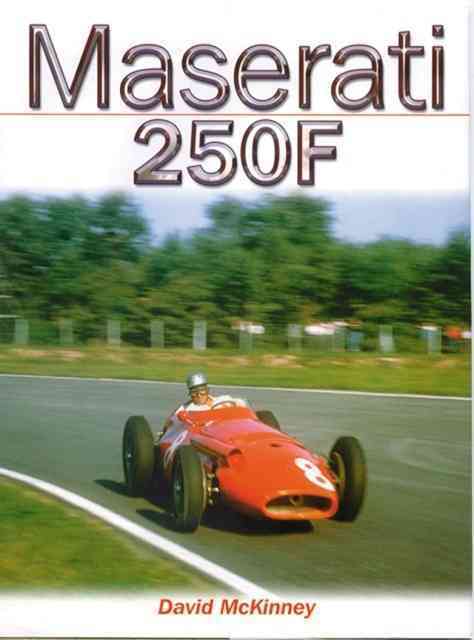 Before the publication of McKinney’s Maserati 250F in 2003 (the car’s 50th anniversary) there had been several other attempts to record the story of this remarkable racing machine in book form (to say nothing of the numerous articles appearing in enthusiast magazines such as Motor Sport or Autosport) over the years. In 1967, Denis Jenkinson provided the first of these in the form of an entry in the popular series that Profile Publications gave automobile enthusiasts during the mid-century years. In Profile 78 in the series, The Maserati 250F Grand Prix Car (Leatherhead, Surrey: Profile Publications, 1967), Jenkinson supplied a brief look at the history of the 250F. In 1975, in the second of what was planned as a series of books on the holdings of the Donington Collection, Donington Monomarques, Jenkinson once again held forth on this remarkable racing machine. The Maserati 250F: A Classic Grand Prix Car (London: Macmillan, 1975) is still a much sought after book, for both its many illustrations and Jenkinson’s prose. In 1985, as part of a series entitled “Classic Competition Cars,” Anthony Pritchard authored an offering, The Maserati 250F (Bourne End, Bucks: Aston Publications, 1985), that while it is, perhaps, interesting and may serve as a quick guide to the Tipo 250F to the uninitiated, was scarcely memorable otherwise. As with Jenkinson’s profile on the Maserati 250F, this offering by Pritchard is really for completists only, given that it adds very little to one’s knowledge of this remarkable racing machine. On the other hand, Andy Hall’s Maserati 250F: A Technical Appraisal (Yeovil, Somerset: Haynes Publishing Group, 1990) is an excellent companion to the Jenkinson volume in the Donington series. Well thought out, succinctly written, and profusely illustrated, Hall’s book is a worthy edition to anyone’s bookshelf. While its focus is largely on the technical and engineering aspects of the Maserati 250F (scarcely a surprise given its subtitle or that it is a product of Racecar Engineering, Hall being given assistance by Ian Bamsey of the magazine’s editorial staff), it is a “good read” even for those not quite so enthralled with bore and stroke dimensions, gearbox ratios, and other such items that are so near and dear to the hearts of the mechanically inclined. Then, there is the Maserati 250F that Colin Pitt and Unique Motor Books (Hockley, Essex: Unique Motor Books, 1998) managed to inflict upon an unsuspecting public. 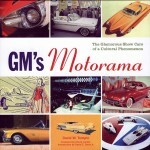 A nice idea that when executed well can be a worthy addition to both one’s bookshelf and the automotive literature, compilations can also be an utter waste of paper. 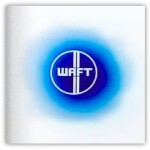 For examples of compilations done well, one can usually look to those compiled by R.M. Clarke and Brooklands Books. Pulling one off the shelf at random, in this case Clarke’s Cunningham Automobiles 1951–1955 (Cobham, Surrey: Brooklands Books, 1993), the articles in the contents are clearly referenced by the title of the articles and the publication and the date of issue from which the material was taken. The reproduction is generally well done and the articles provided are complete. Alas, this cannot necessarily be said for Unique and its Maserati 250F compilation. The report on the 1954 Grand Prix de Belgique is given as coming from an Autocar report from 1952 on the contents page, not to mention that the report is missing a page—one page of the report being reproduced twice, reflecting some rather shoddy production and editing. That there are two articles by Anthony Pritchard on the Maserati marque, that some of the articles seem to suddenly appear without any warning, that there is no discernable organization to the compilation of articles, as well as the reproduction being only average for the most part, this is another only for completists or the unwary, given that the prices seen recently for copies of this compilation tend to range from outrageous to obscene. While there can certainly be no final word on such an interesting and, yes, iconic, racing machine as the Maserati 250F, McKinney’s book will probably suffice in that role for some years to come. A deceptively easy book to read—it packs a great deal of information between the covers and yet never seems to be straining to do so—McKinney’s story centers not merely on the machines and their mechanical innards nor is yet another routine and numbing listing of race after race. 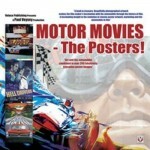 It is actually a very well-written narrative of a particular type of racing machine and the era in which it raced. Using a simple, straightforward, chronological approach to the history of the 250F, McKinney covers not only the major Grand Prix events, but the minor events in which the 250F featured so prominently as well. The evolution of the 250F is covered in some detail, but in such a way that both the casual reader and the technically savvy enjoy the book. One of the most notable features the book is that McKinney provides what is undoubtedly the most complete and accurate accounting of the individual histories of the various 250F racers that were produced and campaigned during the years 1954 to 1960. This is no mean feat given that more than a few of the machines appeared under several guises. That is, they assumed different identities from time to time, something that confounded even as astute an observer as Denis Jenkinson. One example of this is chassis 2504 which was a customer car originally produced for Prince B. Bira (Birabongse) of Siam, who also used this chassis number for an “interim 250F” which was actually an A6GCM/53 with the chassis number 2046, which had been campaigned by the factory team, Officine Alfieri Maserati, in 1953. After running 2504 in several events early in the 1954 season, at the British Grand Prix at Silverstone, feeling unwell, Prince Bira turned over his ride to Ron Flockhart, a member of the Owen Organisation team whose own car, 2509, driven by Ken Wharton, would finish eighth in the race. Unfortunately for Flockhart, he crashed Bira’s car, doing considerable damage to it. With a commitment to appear in the Grand Prix de Caen the next weekend, the Owen team hastily prepared their 2509 for Bira to use until 2504 was repaired. As it happened, Owen and Bira simply swapped chassis and Bira kept 2509 and Owen retained 2504 for the remainder of their racing careers. The “cult of chassis numbers” most likely originated as a result of the tendency of some within the racing enthusiast community to anthropomorphize the machines, a means of identifying the cars whatever their racing number might be. Later, of course, this relatively harmless exercise became the basis for the provenance of these machines when they became commodities for collectors. As can be seen in the McKinney book, some of the chassis were quite famous and much sought-after, especially 2529, the 250F driven by Fangio to his memorable victory in the 1957 Grosser Preis von Deutschland at the Nürburgring. In one case, 2507—originally built for Gilby Engineering for Roy Salvadori, ended up, first, being reused when the original chassis was badly damaged when Salvadori hit a tree at the Gold Cup meeting at Oulton Park in late 1955 and was replaced by the factory with a new chassis bearing the same number in early 1956. In the hands of the factory, 2507 appeared under no less than two other chassis numbers, 2523 and 2522—although there was also another chassis 2522 that was built in 1956, which won the 1956 Grand Prix de Monaco with Stirling Moss at the wheel. Needless to say, this can get all very confusing, but McKinney actually sorts it all out and makes some sense of it all. This is no small accomplishment. 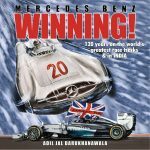 It should be noted that McKinney was assisted in this truly monumental feat by Barrie Hobkirk, a Canadian, who read an article by Denis Jenkinson on the Maserati 250F and became fascinated by them. Using an enormous number of photographs that he managed to collect over the years, Hobkirk was able to literally, rivet by rivet, louver by louver, dent by dent, identify each 250F and sort out their various racing records as a result. Unfortunately, on 25 February 2014, David McKinney lost his battle with cancer, one that he endured with grace and dignity. Until literally only a few days before his death, David was still helping no end of curious enthusiasts and researchers by sharing his encyclopedic knowledge of automobile racing. 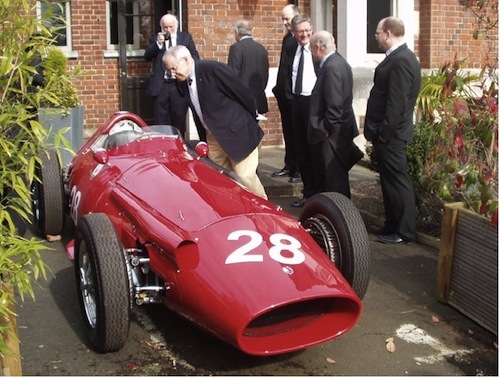 It was entirely appropriate that at the reception following his memorial service in March 2014, fellow racing historian Doug Nye arranged for a Maserati 250F to be present. Although there was not a Maserati 250F “buttoned-together” when Doug began his search, the restoration company Hall & Hall quickly put chassis 2526—the car used by Jean Behra at the 1956 Gran Premio di Italia at Monza— which was undergoing restoration, back together so that it would be at the Salisbury Arms for the occasion. David was a good friend and he is sorely missed by so many of us. That’s me peering into the cockpit with Doug Nye capturing the moment. The first time I read the caption I thought it said, “That’s me peeing into the cockpit.” I blame my ophthamologist. I am an old friend of Barry Hobkirk . We raced together in Canada in the 1970’s and I have lost track of him and I am trying to find anyone who might have contact information for him. I have recently come across several pictures of Barry campaigning his 260Z Datsun and would like to send them to him. Any help will be appreciated.I was in the Maserati 250F room that Barry created to track all of the cars and it was truly remarkable.